Amazon encourages their people to form two-pizza teams to encourage innovation. Amazon lets pretty much anyone form “2-pizza teams” consisting of 4-6 people - so named because they’re small teams which only need 2 pizzas to feed. Small teams have the advantage of being nimble, with the ability to rapidly execute an idea. It reduces the overhead of communication, endless meetings and governance, allowing the team to focus on doing. They’re usually cross-functional, to ensure a good mix of skills to make a potential entrepreneurial idea a success. Culturally, it helps to pull people in a team together, forming strong bonds: when everyone is accountable and that accountability is visible, then things get done. 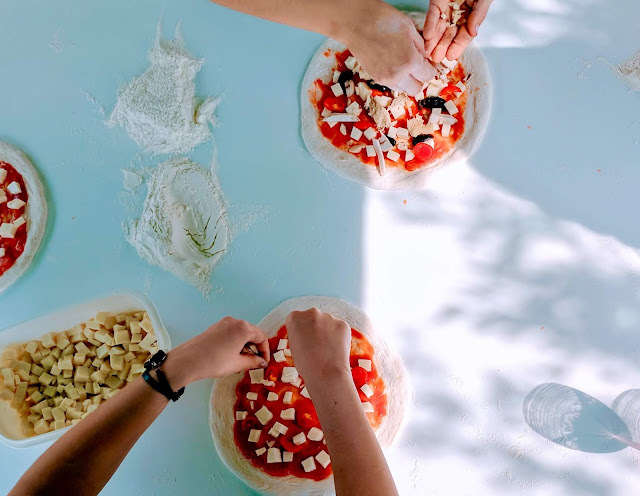 Pulling together two-pizza teams is a strategy which lets a company continually expand into new areas. Amazon’s move into web services was a result of a two-pizza team getting together, thinking about how cloud service was the next logical step: they were building capacity for themselves, why not offer it to others? The benefits of small teams aren’t just a hunch, it’s backed by research. In an experiment performed by the University of Massachusetts Amherst, a team of students were given instructions to either pull on a rope, or pretend to do so. Different sized teams were put to the test. The results were astonishing: it didn’t matter whether the students were part of a larger team or just thought they were part of a larger team – they worked less hard as the team became bigger. The sweet spot was having teams of 4 people. Known as the Ringelmann Effect, larger teams lead to ‘social loafing’, where team members reduce their effort because they feel less responsible for their output. If you want to get things done, keep your teams small, just enough for 2 pizzas.